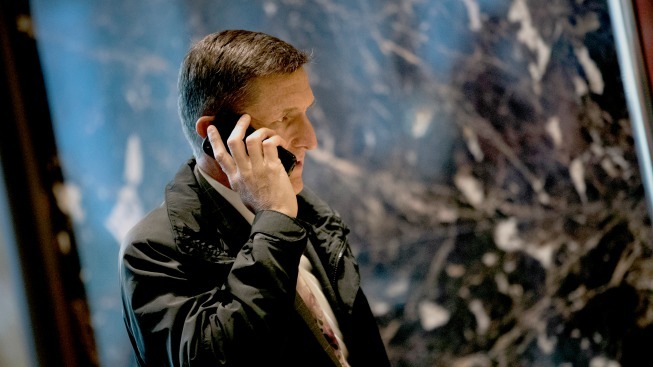 This Jan. 12, 2017, file photo shows Retired Lt. Gen. Michael Flynn, then-President-elect Donald Trump's choice for national security adviser, arrive at Trump Tower in New York City. 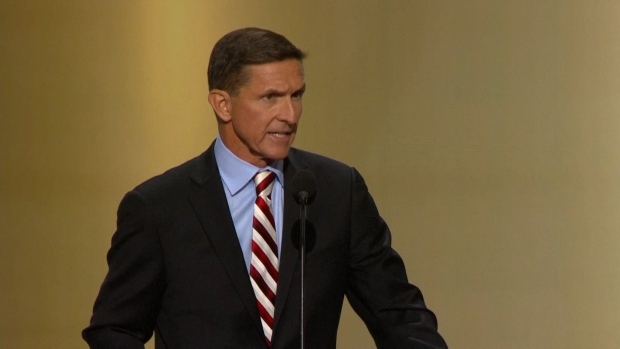 Two business associates of Michael Flynn, President Donald Trump's former national security adviser, were charged Monday with illegally lobbying for Turkey as part of a campaign to pressure the United States to expel a Turkish cleric. Gulen, who holds a U.S. green card and lives in rural Pennsylvania, is a rival of Turkish President Recep Tayyip Erdogan, who has accused the cleric of directing a failed coup and who wanted the U.S. to extradite him back to Turkey. Gulen has denied any involvement in the coup. But by the end of November that year, the op-ed caught the Justice Department's attention, and that scrutiny ultimately led to Monday's indictment.